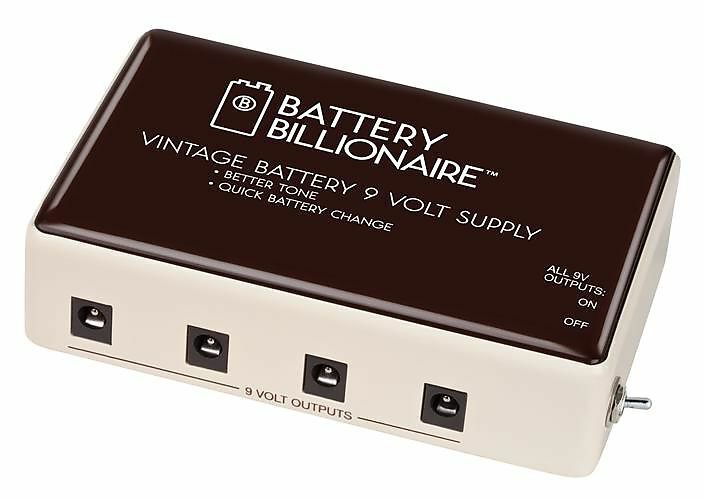 Juicy tone from vintage 1960’s style batteries! (DC supplies and alkaline batteries eat your tone.) 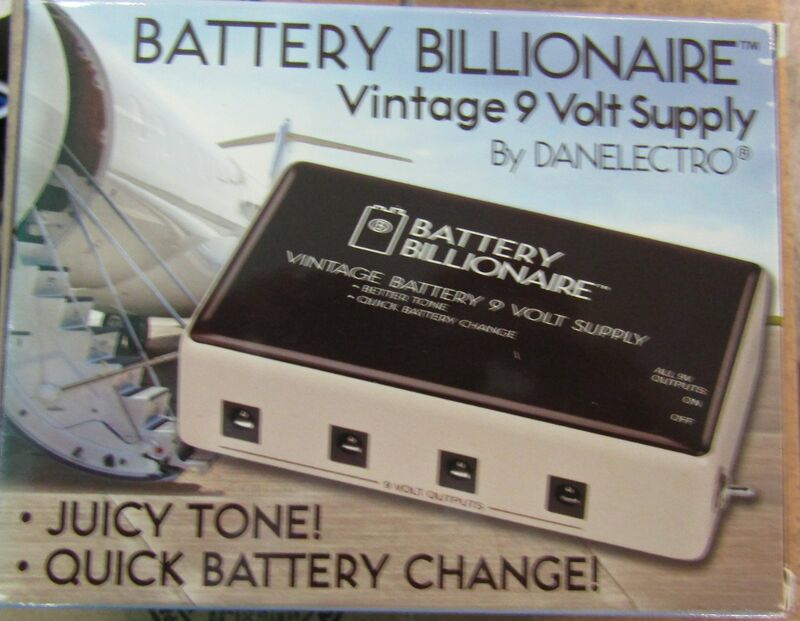 Danelectro®‘s vintage batteries offer superior tone to most pedals. 4 x 9 volt outputs. Quick battery change with easy open lid. “Kill switch” cuts power to all 4 DC outputs (no need to unplug input cables from pedals). Includes 4 DC cable, 4 Danelectro® 9 volt vintage batteries. Small footprint. Feed your pedals something they like!